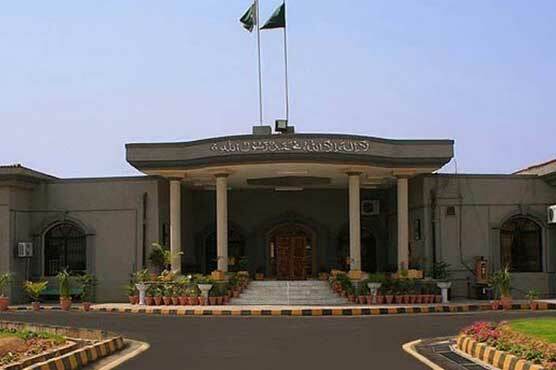 ISLAMABAD (Dunya News) – IHC on Monday accepted the request of pre arrest bail of four accused in fake accounts case. The court granted the bail to Raheel Mubeen, Christofer, Ghazanfer and Muhammad Nasir till 22 April. The IHC has served notices to NAB and others and asked to submit a reply. A division bench of IHC heard the case related to fake accounts. Justice Amor Farooq and Justice Mohsin Kyani are in the bench. The accused requested the court to grant them a pre arrest bail till the trial completes. NAB had summoned all accused on April 8 in a case pertaining to fake accounts. Earlier,the Joint Investigation Team constituted on the orders of the Supreme Court to investigate the multi-billion rupees fake accounts scam submitted its final (synthesis) report before the two-member bench of the apex court headed by Chief Justice Mian Saqib Nisar. The JIT stated that it has very minutely probed into the 32 fake accounts and the transactions associated with these accounts. Lolllll.... Can someone check all the accounts of the judges... I mean transactions in the past one year? Yaar IHC aur Lohar high court seeda seeda in sub ko immunity hi kyu nahi de deti. roz roz ka rolla ko muk jaye ga.
Lohaar High courts in action! Kya circus laga rakha hai bc! !